E.W.Steptoe was but one of Bob Moses’s early contacts in the Southwest. He had originally come to Southwest Mississippi because C.C. Bryant, the president of the neighboring Pike County NAACP, read about a SNCC “Move On Mississippi” in Jet Magazine. Bryant introduced Moses to Steptoe, and Moses began a voter registration school at the church on Steptoe’s farm. This work pioneered the way SNCC would be introduced in many communities across Mississippi and the South. 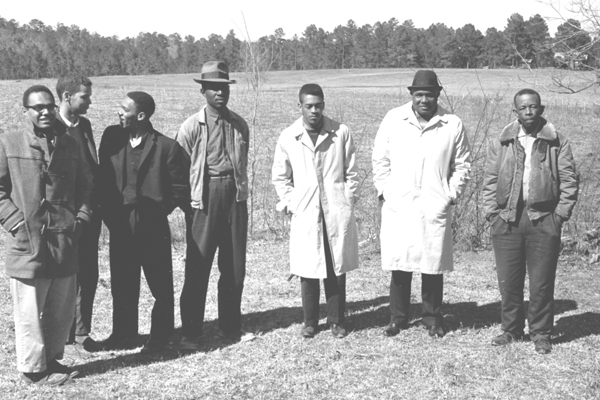 And contact and experiences with men and women like Steptoe would reshape attitudes both in SNCC and outside of SNCC about what was possible in the rural Black Belt South. Southwest Mississippi was hill country. It was economically and culturally distinct from other areas of the state. According to journalist Jack Newfield, the southwest “not only missed the civil rights movement, but the Industrial Revolution as well.” Most people in the area worked in subsistence farming, dairy farming, and lumbering. Instead of large plantations, like in the Delta, the southwest was populated by little farms, which meant that Black people were more likely to own their land. Blacks and whites were economically and socially close, and the racial rules that governed Black second-class citizenship were less defined. Instead of economic terrorism, used by Citizen’s Councils in the Delta, the whites in southwestern Mississippi relied on the Klan to administer racial justice. Violence was a mainstay in the area, used the maintain the racial status quo. Blacks were effectively disenfranchised. In Pike County, only 200 of 8,000 eligible blacks were registered. In Amite, only one of 5,000 was on the books, and in Walthall, not one black person was allowed to vote. However, despite the viciousness of race relations in the southwest, local Black people fought for first-class citizenship. The NAACP was strong, with local leaders like E.W. Steptoe and C.C. Bryant leading their respective branches through the ups and downs of the fifties.